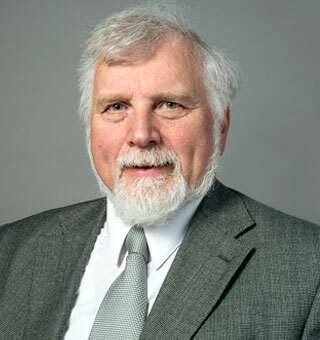 David A. Klodd, PhD, brings extensive medical knowledge and more than 40 years’ clinical experience as an Audiologist to his role on the AHRF Board and Research Committee. His areas of expertise involve audiological evaluation and management in patients of all ages with facial nerve disorders, vestibular/balance disorders, and other otoneurologic hearing disorders, such as acoustic neuromas and neurofibromatosis type 2 (NF2). He taught Audiology courses at Northern Illinois University and taught in the Doctor of Audiology (AuD) distance learning program at the University of Florida. At Rush Medical College Klodd was a Professor of Otolaryngology; he served on numerous departmental and medical school committees, including the Committee on Admissions where he was Chairman for five years. He was the recipient of the Mark Lepper, MD, distinguished teaching award of Rush Medical College. At the University of Illinois Chicago, Klodd was a Professor of Audiology and the Director of Audiology. Over the years Klodd has taught and advised hundreds of audiology, engineering and medical students and residents. Klodd earned his PhD in Audiology from Bowling Green State University. His research has appeared in several peer-reviewed journals over the course of his career. He serves on the advisory board for the Department of Biomedical and Chemical Engineering in the College of Engineering and Computer Science at Syracuse University. He continues to see patients at his private practice at Amita/ Presence St. Francis Hospital in Evanston, Illinois.